Moisten the cloth and remove as much salt as possible. If the stains are fresh, they will be removed easier, so don’t leave your boots dirty after returning from snow walk. Mix vinegar with an equal amount of water. 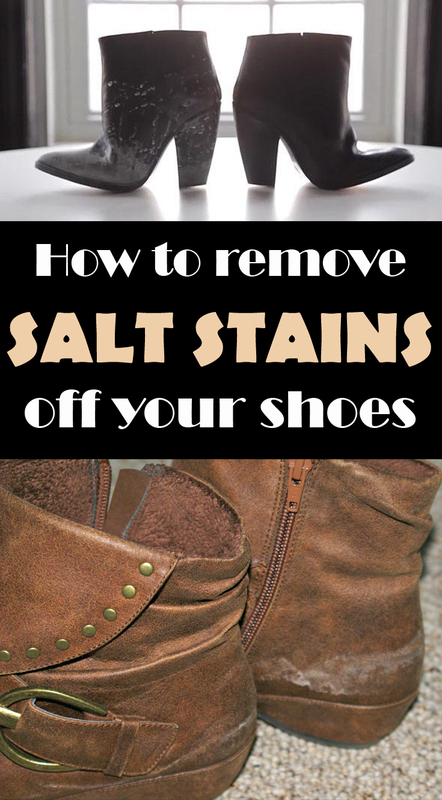 Moisten the cloth in this mixture and gently wipe your shoes to get rid of salt stains. If this mixture won’t remove salt stains completely, eliminate the water and use only vinegar directly on stains. Vinegar can be very corrosive on leather shoes so, after you get rid of salt stains, use a shoe cream. If vinegar can’t remove all salt stains, cut an onion in half and rub the remaining stains. Clean with warm water and apply shoe cream.